We have exciting news to share! 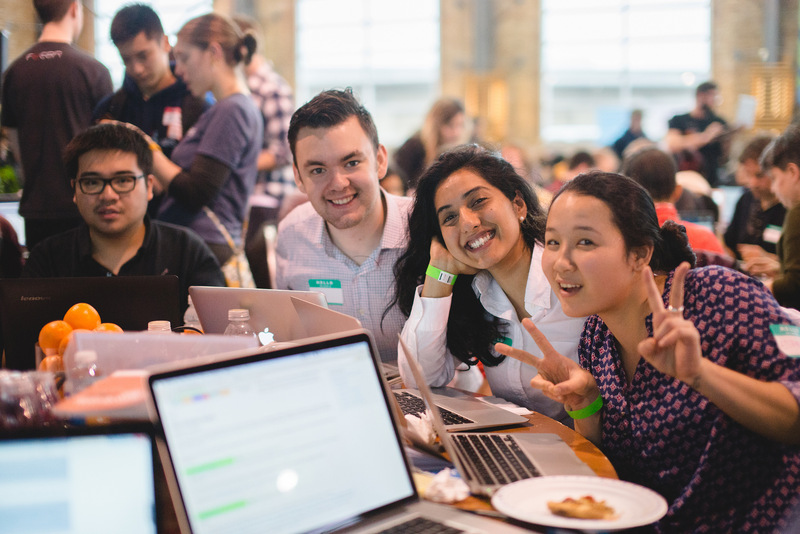 We’re bringing back Canada’s largest learn to code event: the HTML500. This year 2,000 participants, 150+ companies, 500 developers and 9 communities will come together to learn to code, make new friends and show the Nation the importance of digital literacy in 2017. So, without further ado, let us explain the who, what, when, where, & why of our favourite event of the year (in no particular order, of course). We started this initiative in Vancouver in 2014 with the belief that every Canadian should have the opportunity to learn to code, not for the sake of becoming programmers, but to promote critical thinking, problem solving and empower attendees to create, not just consume, technology. With the thousands available resources, learning to code is more accessible than ever. Job boards and projections show time and time again that the demand for digital skills is growing and going largely unfilled. Technology is EVERYWHERE and is part of every industry. Even with all of this in mind, the majority of Canadians still see coding as something that ‘is not for them’ because ‘they are not good at math’. Picking up any new skill is hard (especially as an adult) and for many the idea of learning to code alone can be particularly terrifying. What if you were surrounded by community of 499 other individuals learning the very same skill for the first time? Imagine how approachable learning to code would seem if you were sitting at a table with a six year old girl, a retired english teacher and recent MBA grad, all building your own landing page with the unwavering support of 100 amazing developers from the local community. What if it was all free and all you needed to do is to show up? That is why we created the HTML500. To remove the intimidation factor, make a strong statement about digital literacy and most importantly empower a massive group of people with the skills to shape their world through technology and code. The HTML500, Canada’s largest learn to code event, is a one day crash course in HTML and CSS. So how do we do it? By showing that learning to code can be accessible and fun. We start by demonstrating that it is possible to learn enough to create something really cool in just one day. This helps break the walls of intimidation and fear around coding, because if that’s what you can create in one day imagine what you could do in one month, or a year! Through the power of community. 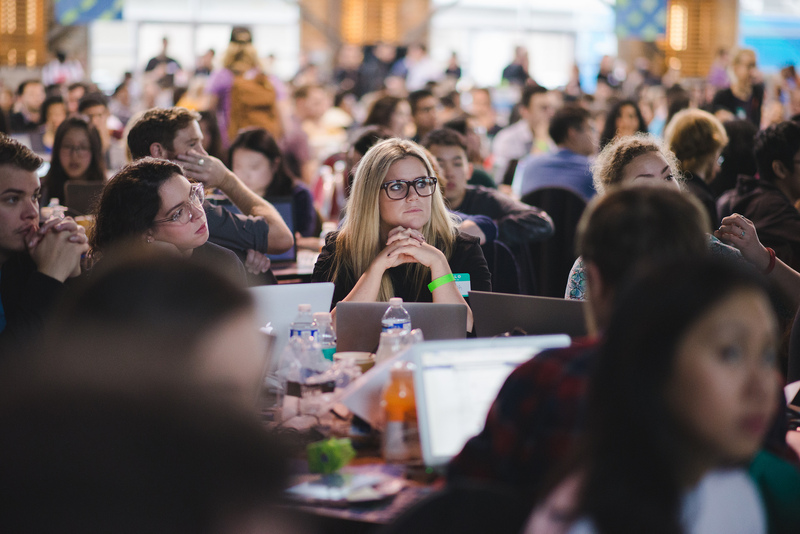 The HTML500 brings together 50 local organizations and 100 developers to mentor attendees. This gives participants a first-hand look at the support that is out there, and the different faces and stories of their local tech community. It also makes a big statement about how important digital literacy and training the next generation is to the Canadian tech community. We teach 500 people, at the same time, in person. We do it for more than just the wow factor of having 500 people in a room at once, we do it because it makes every attendee just a little more comfortable knowing that they are surrounded by 499 other people who are new to coding. We do it because every person there has friends that will end up saying “I never thought of you as someone who would code” or “if you can do it, I can do it”. We do it because it to make coding accessible to anyone and everyone. We do it because it’s fun and social. The HTML500 is open to everyone. Anyone that wants to learn to code is welcome to join! In 2015, there were: 3431 women, 2582 students, 914 marketers, 324 members of the media, 270 nonprofit employees, 300+ attendees above the age of 60, and 240 attendees below the age age of 18. We understand that one day of learning to code does not make every attendee a developer, but that’s not what the HTML500 is about. Instead, this one day event aims to inspire participants to code, contribute, grow, teach and make a difference. It is built to inspire people to take the first step, to consider a career that they previously hadn’t, to continue their learning or to bring digital skills to their own communities. We want people to create their own initiatives, to pay it forward and perhaps even push to change a policy or two. More than anything, what we have learned over the past two years is that the HTML500 has the power to inspire. That’s why in 2017 we’ve made it part of our mission to bring together people who can empower. We want teachers, impact organizations, government policy makers and 2000 individuals, from 6 to 60+ years old, across nine communities to come together to make a strong statement about digital literacy and have the power to inspire many more. Between February and April 2017, we will be bringing the HTML500 and HTML150 to 9 communities across Canada. We’ve partnered up with amazing organizations like Invest Ottawa, Volta Labs, Innovation Place, Calgary Economic Development, TechAlliance, Tourism Saskatoon, MTLNewTech and more to put on a series of smaller, 150-200 person learn to code events that we’ve aptly named the HTML150. Our goal? To inspire as many people as possible through code! To register or learn more, check out www.thehtml500.ca or sign up for our newsletter!